The fastest growing Indian restaurant chain in the world is now spreading it’s wings across many countries including India in this coming new year. “Team” Godavari is very delighted to thank all the authentic food lovers who have been a great support to the brand since beginning and make it grow this big and global within a short span. Godavari is all set to open it’s international locations in Canada and Australia early 2019 making the global presence of South Indian aroma. “Godavari” did not confine itself to the fine dining South Indian Restaurants in USA but came out with different brands like “Kiraaak”, “Spicy Salaa”, “Paneer” and many more coming next year adding to their “Food Factory”. 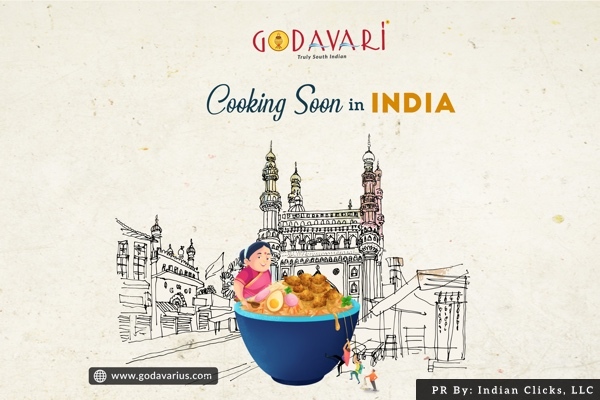 With this amazing experience and catering authentic dishes in 3 countries, “Godavari” is now expanding to India also opening their first outlet in early 2019 and planning to launch at least 6 outlets in India and 5 more in Canada in 2019 along with the new locations in the United States like Minneapolis, Naperville and many more. 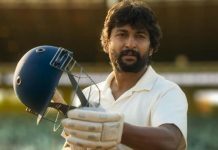 “All this happened and is happening with a great “Young” team at Godavari and our family like franchise owners and on top of everything the authentic food lovers who has been a great support for us are making us grow big and bigger everyday” says Teja Chekuri & Jaswanth Reddy Mukka from “Team” Godavari. “We want to wish everyone a Happy Holidays and a “DELICIOUS” New Year and we are coming out with a brand new Menu in many locations this year. We also want to thank Media for their extensive coverage about our journey of Godavari this year” says Varun Madisetty and Raja Munaga who have been not just franchise owners but a part of the core team of “Godavari”. Godavari is also introducing their mascot “Gundamma Attha” who is also standing out for “authenticity” of South Indian recipes.